HomeNotificationUPPCL Stenographer & Office Assistant Recruitment 2017 | Notification released for Grade III posts. UPPCL Stenographer & Office Assistant Recruitment 2017 | Notification released for Grade III posts. UPPCL released a notification to recruit vacant seats, December 29 is last date. Uttar Pradesh Power Corporation Ltd. released notification to fill vacant seat at corportation. Notification released for Stenographer grade III and Office Assistant. Candidate can apply for the same from the official website or direct link given below. 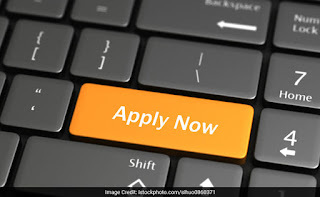 Before applying please read eligibility creteria. Graduation in any stream and knowledge of Hindi typing with a speed of minimum 30wpm.